I’ve had the week off work and managed to pause all of the new show and what a whirlwind it has been! My friends are catching up since I told them about it, although I’ve now finished the final episode. Admittedly, I was reluctant to watch the final episode – I knew what was going to happen, but it did take me a while to prepare for this – I’ll digress in this further on in today’s post. The show in itself addresses a strong issue that we all face every day. From opening up to someone to facing consequences, the producers, writers and cast have worked incredibly hard to put this together. 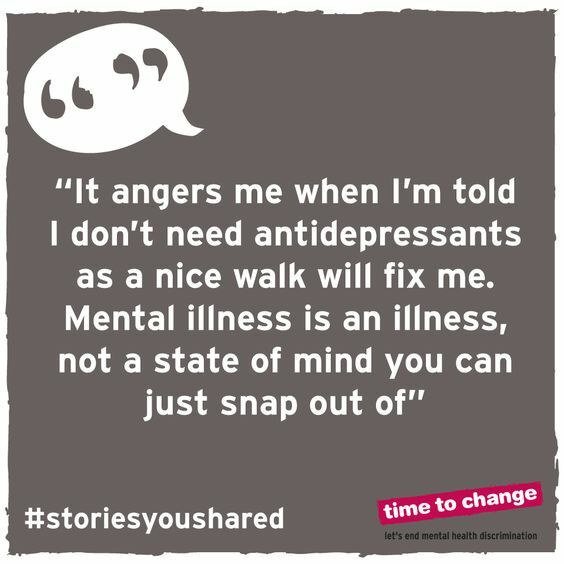 But it did get me thinking that we need to be more open and realistic about mental health – we’ve come a long way but there’s still a sense of stigma. Don’t worry – I’m not going to post any spoilers on this post so you can read away while watching the show. Instead, I’m going to share 13 Reasons Why we need to talk about Mental Health. I’m not an expert in anyway – some of this is my own personal experiences, and some is related to the show, but for each of the 13 points I’ll add something to support this – whether it be a video or a picture from Pinterest. But at the bottom of this post, there will be links should you wish to look into anything further. One size does not fit all. Medication may work for some people while talking helps others. There’s no black and white to how we all cope. It takes a while to find that balance that you’re happy with, but it may take some rough patches to get there. But what might work for you, may not work for someone else. A book may have a colourful and bright cover, but the novel could be very different if you choose to open the book. People struggling with mental health can be good at hiding it because they don’t want to appear like they’re getting attention. That’s something that stood out in the show from the other young people thinking Hannah was lying or wanting it to be all about her. This is a serious issue that anyone having a low moment is seen as “attention seeking” – it shouldn’t be a stigma. Remember earlier when I said I was reluctant to watching the final episode? Well that’s my trigger – suicide. I’ve had to walk out the room when a suicide scene is playing on the TV screen, or my stomach drops as I’m reading the news about someone who’s taken their own life. Sometimes I’m a lot better with it, while other days I can’t even face it. It’s not because I feel uncomfortable at the topic – I’ve lost two people close to me to suicide. We should be talking more about it – but personally I’m still trying to manage those triggers. One element that can make trauma triggers overwhelming to manage, particularly early in recovery, is that it takes time practicing self-awareness to learn to recognize and name that what you are experiencing is actually a trauma response. (PsychCentral has a great explanation of what a trigger is.) “Being triggered” can look and feel different for different individuals. 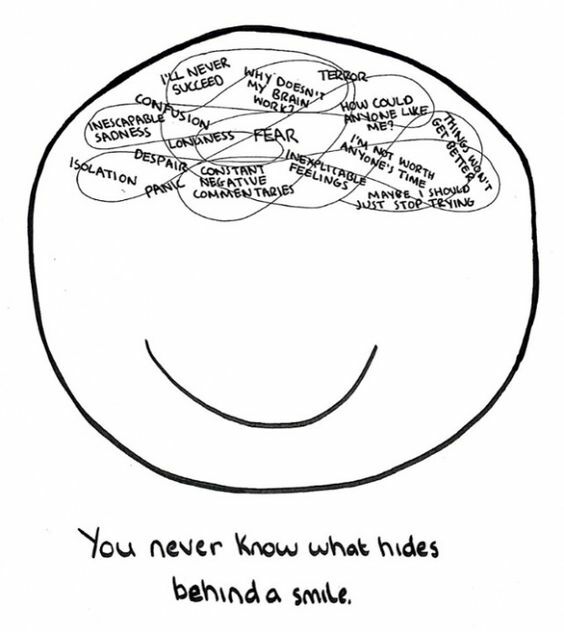 This layout assumes you have some growing awareness of what the experience of being triggered feels like in your body. 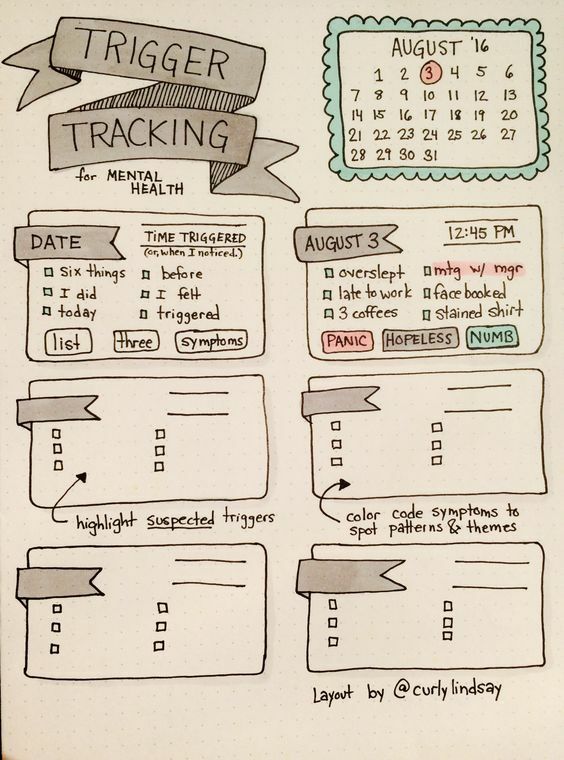 In addition, Lindsay has created a layout for someone to map out their triggers. Life is like a rollercoaster – I’ve just heard you singing that – but life is full of highs and lows at various points in our lives, be it events or not feeling like you’re progressing. We can’t always control our emotions or mentality when it comes to these moments – but it’s important to remember that it’s ok. Have a good cry because you want to – if we were all robots, then we’d be quite boring! The same goes for talking to someone with a mental health illness – don’t talk to them like an alien! That’s only going to isolate them even more – they’re going through a difficult time but they’re still your friend, your family member, colleague. So just be yourself towards them. If anything, share some extra love – they might need it more than you realise. Unless you have literally been in their shoes – what you may see as something they should “get over” easily – it’s a lot more than that to them. Someone going through a difficult time will respect you more if you hold you hands up and say “I don’t know what you’re going through… but I’m here for you”. Watch this video which perfectly describes the difference between empathy and sympathy. No one is expected to save the day or have all the answers – sometimes we need to get everything out in the open just for the sake of it, rather than looking for answers which we may desperately want in life. A listening ear, a cup of tea and a shoulder to cry on is more valuable than you can realise. Just because you can’t see it, doesn’t mean it’s fake. This is a big pet peeve of mine! “Well she doesn’t look depressed”, “she’ll get over it” etc. – no they may not look like they’re struggling but the battle is real. Even getting out of bed some days is a challenge! 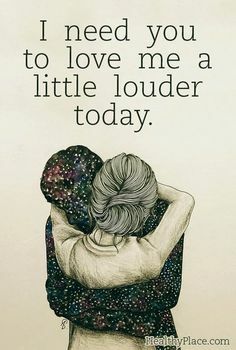 If someone is having a bad day or want to have some space so they can focus on themselves, then let them and support them. 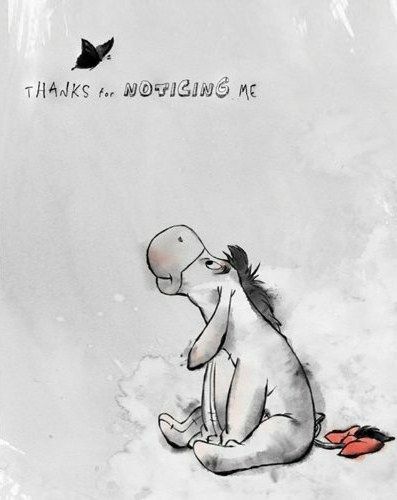 I feel bad for Eeyore – the first thing anyone recognises is that he’s never happy, and that in itself has become part of his identity. 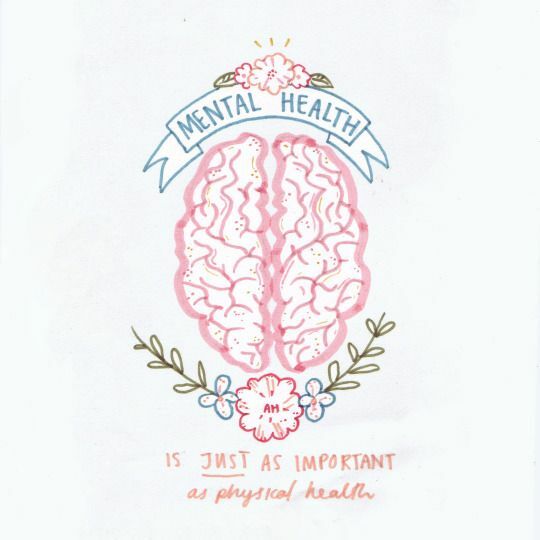 But not everyone should be identified because of their struggle – if I was only identified for being anxious rather than going out my way to help others or achieving my own personal goals, then I’d be quite upset! Because that’s not what makes me – despite all the issues and difficulties, we all have good aspects about ourselves. Let’s focus on those! 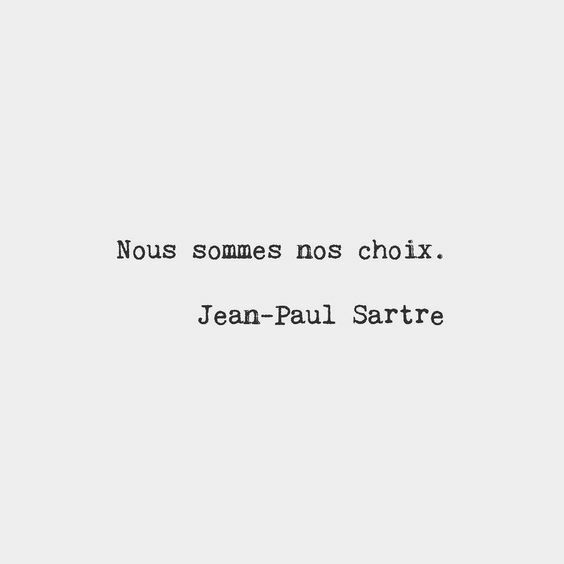 It’s only when the choices end, does a person cease to be. That’s a line from a play I worked on years ago in Edinburgh which has always stuck with me to this day. We all have choices that we have to make – sometimes they’re for the best, but sometimes it can be a big mistake. But as much as it might feel like the end of the world if you’ve picked a bad choice, it can also make you stronger. You can learn from this and one day you’ll look back and reflect on the experience. We’re always at a fork in the road, and each path will come with pros and cons – we just have to make the choice that our instinct is telling us. It’s tempting – when things are rough, you just want to curl up in a ball and pretend none of it is happening. But as I mentioned in the last point, we have a choice. It’s difficult as you’re imagining the worst case scenario – be it a reaction from a loved one, or failing at something – but hiding won’t make the problem away. 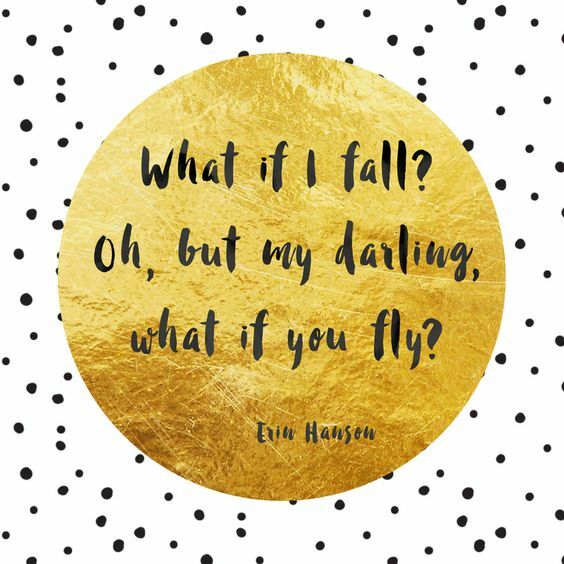 You may be terrified to fall, but instead you could fly when facing the issue – Have a read of Zoe from Beautiful Simplicity‘s blog post about rules to live life by. 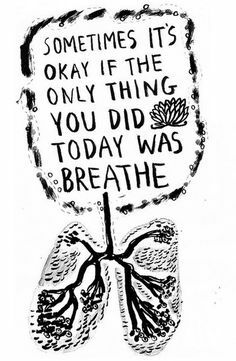 Everyone who is struggling with mental health are fighting a battle every day. It can make us tired, isolated, feeling like we’re on a hoverboard just floating through life. 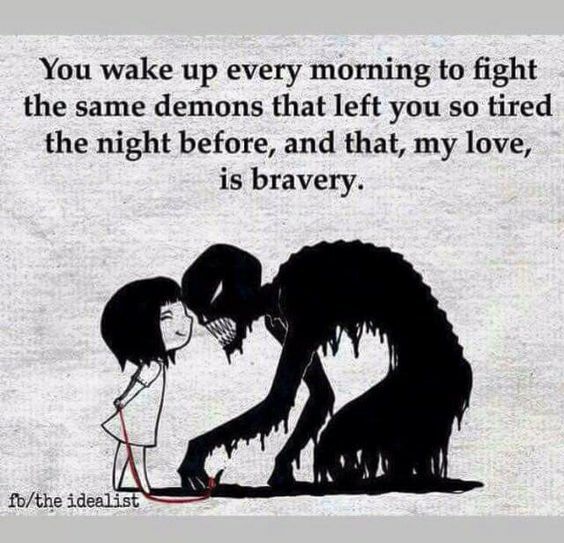 But that’s what makes us brave – facing each day with one step at a time. So this concludes my 13 reasons why we should talk about mental health. There’s so many more reasons why… but the main thing is that we should keep talking about it and be more open. 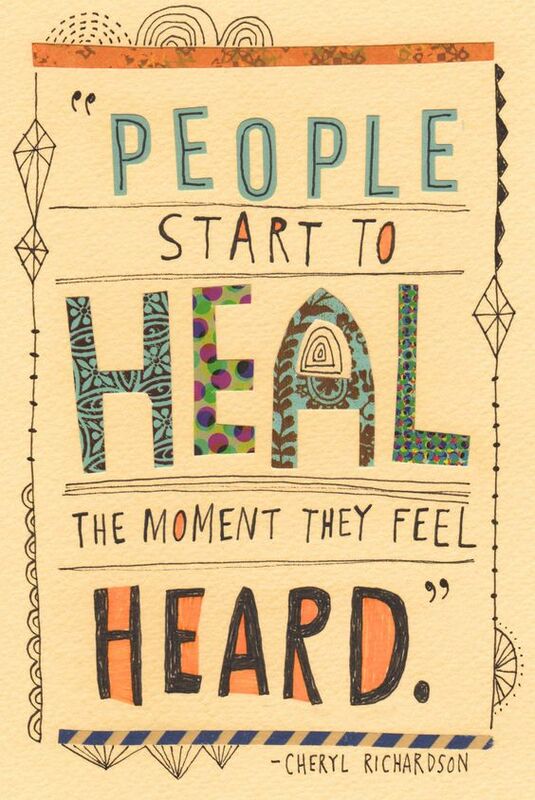 It can make a difference to someone, even if it’s being a listening ear for them. Let me know what you think of the show in the comments below.